The VISION of Greater Oak Grove Missionary Baptist Church is to be a Christ centered, Biblically based, center of hope for Northeast Houston. Honoring God by encouraging spiritual growth, embracing the family, and empowering the community. 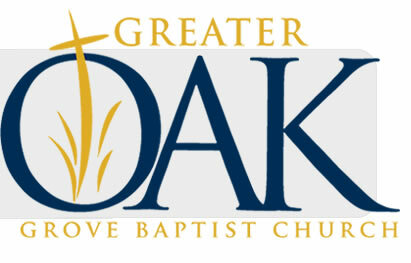 The MISSION of Greater Oak Grove Baptist Church is to be a seeker friendly, community sensitive body of believers. We will strengthen families, equip saints and evangelize sinners through expositional preaching/ teaching. We will provide opportunities of empowerment through life application courses that will transform lives and impact the community. To the end God will be glorified in all that we say and do.